(TibetanReview.net, Jan27, 2015) – China on Jan 25 sought to belittle US President Barack Obama’s visit to India as the chief guest for its Republic Day function, dismissing it as nothing more than a symbolic exercise because of what it called the superficial nature of their bilateral relations. Its official Xinhua news agency highlighted in a commentary the longstanding differences between the two countries on issues such as climate change and agricultural subsidy. It said Obama needed the trip and India’s support to tell the Capitol Hill and his supporters that his administration could make progress on important relations after his “Pivot to Asia” policy got distracted or even derailed by the undying conflicts in the Middle East and Ukraine. For India, the commentary contended, a closer relationship with the United States was compatible with its multi-faceted diplomacy and could be commercially beneficial. Elaborating on the nuclear energy cooperation, the commentary said Washington and New Delhi had long been engaged in a complicated dance since 2008. 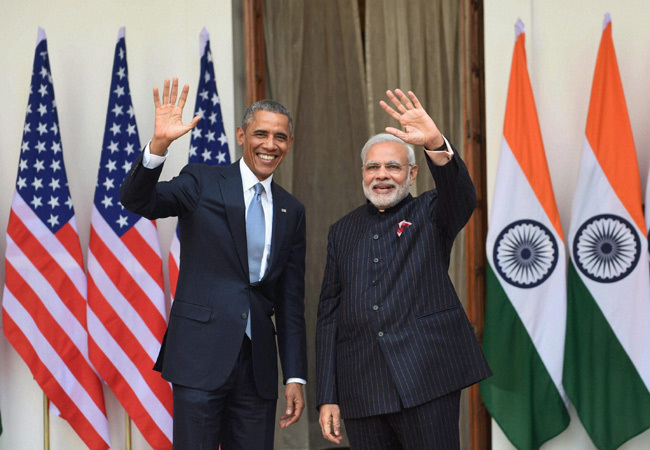 Well, on Jan 25 afternoon, Modi and Obama reached understandings on the key issues of civil nuclear liability and administrative arrangements for civil nuclear cooperation, opening the way for full commercial cooperation, said Indian media reports. China’s misgivings about growing ties between the two countries arise from the fact that it often accuses the US of trying to use India as a counterweight to China in Asia.